2. 300 to 500 SR : For exceeding the speed limit more than 20 km/h to 30 km/h, Here Minimum is 300 SR and Maximum is 500 SR.
3. 800 to 1000 SR : For exceeding the speed limit by 30 km/h to 40 km/h, Minimum fine is 800 SR and Maximum is 1000 SR.
5. 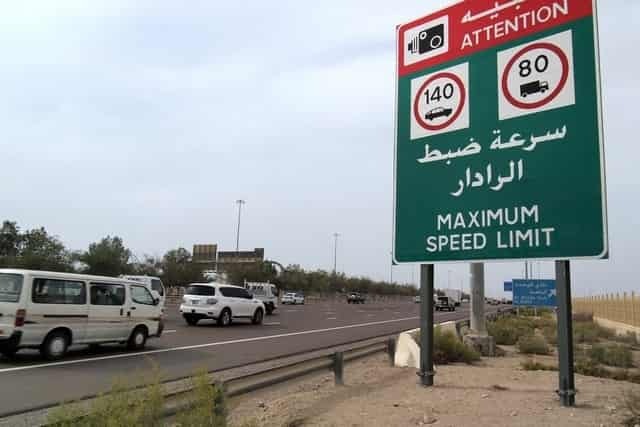 1500 to 2000 SR : For exceeding the speed limit by 50 km/h, Minimum is 1500 SR and Maximum is 2000 SR.